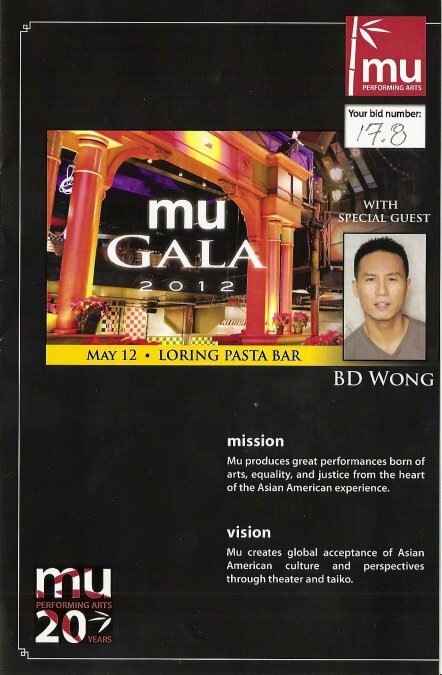 Last weekend I attended the Mu Performing Arts 20th Anniversary Gala, held at the Loring Pasta Bar (a lovely venue for a celebration, if less than ideal for stage performances). 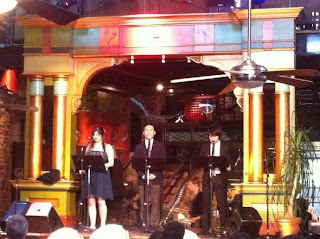 I've attended the Mu Gala a few times in the past, and it's always a fun evening of theater, music, drumming, good food and drinks, and great silent auction items (sadly, no Ivey Award tickets this year). The goal of the evening, in addition to celebrating the amazing Asian-American theater community in the Twin Cities, is to raise money for Mu to continue its work. In particular, this year they're focusing on building a new space and developing a new musical (my favorite thing). Artistic Director and founder Rick Shiomi announced his impending retirement, which made for a bittersweet celebration. And despite the absence of my favorite Mu actor Randy Reyes (he's a busy guy, so he was probably working somewhere), it was another delightful evening. This year's gala featured a special attraction - an appearance by stage, film, and TV actor BD Wong. 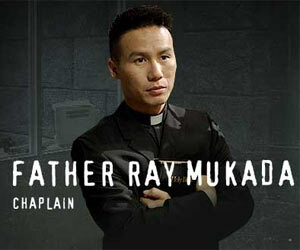 I know him best as Father Ray from Oz, one of my all-time favorite TV shows and HBO's first scripted series (that paved the way for everything else to come). BD has also appeared on Law and Order: SVU, as well as the recently cancelled NBC drama Awake. In addition to these roles, he's an accomplished theater actor, having won a Tony in 1988 for his role in the David Henry Hwang play M. Butterfly (which was produced at the Guthrie a few years ago, with the aforementioned Randy Reyes in BD's role). BD is working with Rick and Theater Mu on the development of a new musical called Heading East, which will be part of Mu's 2013-2014 season. The musical tells the story of "would-be tycoon Siu Yee Tong, a brazen young man who travels from drought- and famine-ridden China to the shores of Gold Rush-era San Francisco in 1849, determined to be America’s next great success story. Too weak to make his fortune as a prospector, Siu Yee discovers instead the joys of American entrepreneurship, building a thriving Chinatown business on the backs of his struggling countrymen." BD and local actors performed two songs from the musical (you can listen to songs from the 2009 demo here). We were also treated to a performance of "No One is Alone" from the Stephen Sondheim musical Into the Woods, which Mu is doing this summer at Park Square Theatre in St. Paul. And of course, no Mu Gala would be complete without a performance or two from Mu Daiko, the thrilling Japanese drumming ensemble. BD was presented with the Rick Shiomi Award for Excellence and made a lovely acceptance speech about the true meaning of Community Theater, as work that serves the community (I prefer the term Regional Theater, but I agree with his point). He said he's enjoying working with our local theater artists and exploring that sense of community, which can be missing in "the big city." Here's wishing Mu another fabulous 20 years, in which I'm sure they'll continue to meet and exceed their goals. You can find more information about current and upcoming productions and projects at their website.